Rocking the GM200 chip, the Nvidia Geforce TITAN-X is the next flagship graphic processing unit to be revealed to the market. Equipped with the GM200, also known as “big daddy maxwell” the card is expected to oupterform all previous (single GPU) Nvidia iterations – and by a quite a margin at that. However, the revelation at GDC 2015 was more or less just a tease, with no actual information being made available to us. Nvidia will be releasing the rest of the details on 17th March 2015. The GTX TITAN X has adopted a more interesting looking black tone over the silver standard. Tthe actual ‘X’ is not present on the shroud rather, and only the “TITAN” branding is visible. 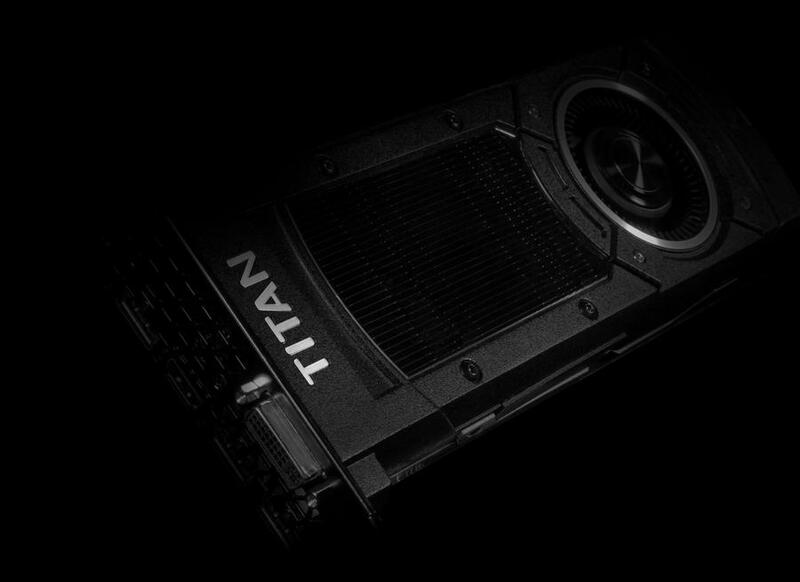 Many enthusiasts who have owned a GeForce GTX Titan GPU before the Titan X have been asking for a Titan Black revision, they did get one but it wasn’t a complete black design as compared to the latest beauty. One of the more surprising decisions by Nvidia however is to drop the use of a backplate – which for such a high end piece frankly makes no sense. Its specifications are more or less known as well. The specifications of a Quadro M6000 part were leaked sometime ago and the TITAN-X will most probably have the same basic specs, with a very slight chance of Nvidia introducing a cut die initially. The full un-cut GM200 has a 384-bit bus, 12GB of vRAM and 3072 CUDA Cores (which translates to 24 SMM). A cut variant of the GM200 could have 20 or 22 SMMs which equate to 2560 and 2816 CUDA Cores respectively. Given below is a screenshot of the actual tease. As for the chip, the GM200 is a massive die measuring at around 600mm2, whereas Kepler GK110 had a die of 561mm2 . Not much else is known about the card at this point but you can expect all that to change during the conference on 17th March 2015 which is this month and not really that far away. We have seen both red and green preparing their flagships for the latest round and I, personally, cannot wait to see the showdown.